Damage caused by strapping digging into products during transportation can be prevented with plastic corner protectors from Australian Warehouse Solutions . AWS plastic corner protectors are 100% recyclable and reusable, which ensures they are a worthwhile investment for transporting products safely. AWS plastic corner protectors are designed for easy use and come with the patented strap guides to eliminate strap slippage and maintain a secure load. 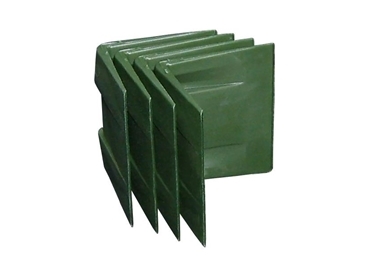 The corner protectors from AWS are part of their green range of products, which aim to reduce impact on the environment through the use of recyclable materials. The plastic corner protectors can additionally be reused a multiple number of times. AWS holds large stocks of reusable corner protectors in Sydney, Melbourne and Brisbane.